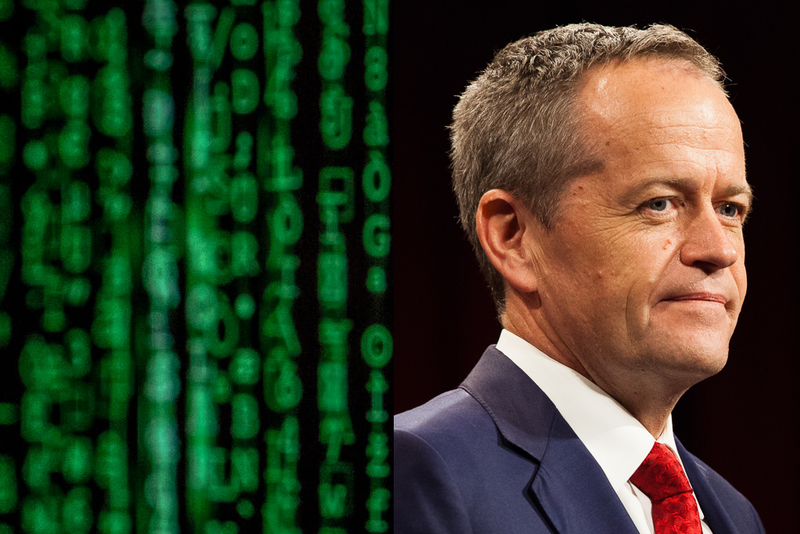 Labor Spent This Week Criticising The Encryption Bill. Then They Voted For It Anyway. Remember this when the election comes. Well, the government’s encryption bill just passed the House of Representatives, and is on its way to the Senate where it’s similarly expected to pass. Basically, if Parliament gets through its to-do list quickly enough, the bill will be law by the end of the day. That’s a real worry, given the extensive criticism of the Assistance and Access bill (as it’s formally known). We’ve explained the basic problems people have with the bill before, and we recommend reading that article before this one if you’re confused. To recap, though, while the bill is only supposed to help law enforcement get access to the communications of suspected criminals, experts from the tech industry are really worried that it will end up weakening security for all Australians. A parliamentary committee was set up to listen to those expert concerns and make recommendations based on them, but it only finished its report and released those recommendations last night. Given that today is the last day of Parliament for 2018, that gave MPs less than 24 hours to consider whether, in light of that report, the bill was still worth the risk. And while the government did introduce 173 amendments aimed at addressing some of the concerns with the bill, it had to ask for those 173 amendments to be voted on all together in one big block, instead of being debated separately. Usually, amendments to a heavily criticised national security bill would be considered in more detail (at least, you’d hope), but the government is in a rush to pass this bill before Christmas for extremely vague reasons. It's fine, they're only asking for 173 amendments to be moved together. 173. Amendments most of us only saw an hour or two ago. 173. Staggeringly, despite all of this, just two MPs opposed the bill in the House of Representatives (those MPs were Greens MP Adam Bandt, and Independent Andrew Wilkie). And yes, that does mean that much-hyped progressive independents like Kerryn Phelps voted in favour of the bill. It also means that all of Labor voted for the bill, despite spending the week arguing that it was rushed, flawed and dangerous. Why The Hell Did Labor Vote For This? The fact that only two MPs opposed the bill was even more extraordinary given that Labor MPs spent the morning giving speeches on how rubbish the bill was, how rushed and flawed it was. Even Labor MP Tim Watts, who wrote this fantastic Twitter thread outlining the problems with the bill earlier this week, still voted for it. Watts has now published a new Twitter thread explaining why he still voted for the bill despite his concerns. The gist of that thread is as follows: despite acknowledging that the extremely rushed amendment process was “far from ideal”, Watts appears to feel that the government’s willingness to come to the negotiating table and make some amendments to the bill was enough to move forward with the legislation. In particular, Watts emphasises a few things: firstly, that Labor has secured an agreement to continue scrutinising the bill in 2019, and secondly, that he feels the amendments made so far have helped to prevent the bill from leading to the main problem people are scared of: tech companies being forced to create flaws in encryption that will affect everyone, not just the criminals law enforcement is pursuing. Basically, he’s saying the bill has been made safer, and that there’ll still be chances to tweak it in the future. There are a few problems with this perspective on the bill. One is that all of these amendments that make the bill safer were moved at once, without detailed debate or scrutiny. As we pointed out above, the committee that was meant to scrutinise the bill in detail was pressured into rushing its report, which was only released yesterday evening. Even MPs with the best of intentions have only had less than 24 hours to scrutinise the final version of this bill with all the information in front of them. That doesn’t inspire great confidence in the quality of these amendments. And that leads us to the other problem: Labor did not need to rush into approving this legislation. The government has a minority in the House of Representatives, so if Labor refused to cooperate this legislation would likely not have passed. And as Tim Watts himself tweeted just this week, the government’s insistence that this bill must be passed before Christmas is a ridiculous, “politically driven” deadline. In short, Labor spent this week pointing out all the flaws in the government’s encryption bill, and also pointing out that there’s really no immediate rush — law enforcement has done without these powers for years now, and they’ll manage without them over the Christmas break. Labor had the power to follow through and do what any responsible opposition with serious concerns about a bill should do: refuse to pass it until it’s been properly examined. Instead, Labor criticised the bill, pointed out the problems, and then voted for it anyway. If it passes the Senate later today, it will become law. Remember that when the election comes.